Brother to Private Malcolm Llyod Toms, reg. no. 654530. They served together in the 18th Battalion. Private M.L. Toms survived. The Clinton News Record, 1918-8-22, Page 1. 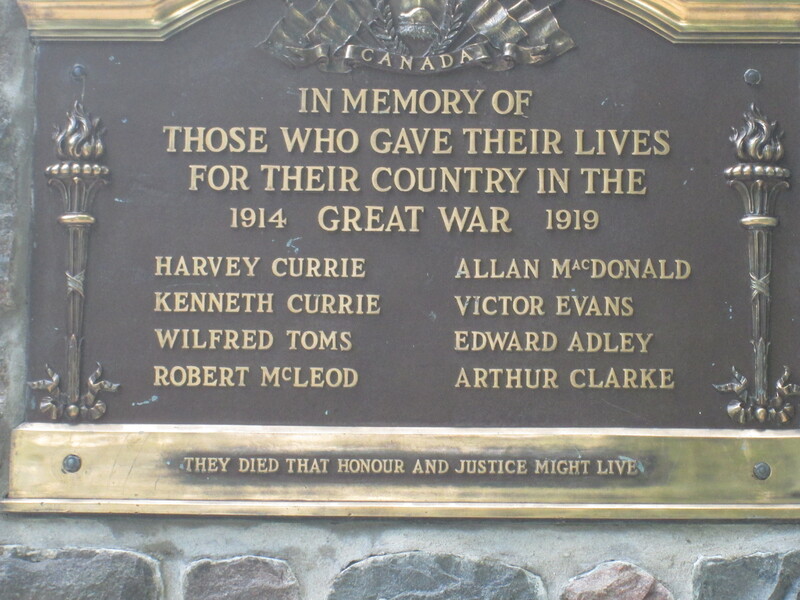 Inscription – Bayfield, Ontario Memorial Plaque. Source: CVWM.